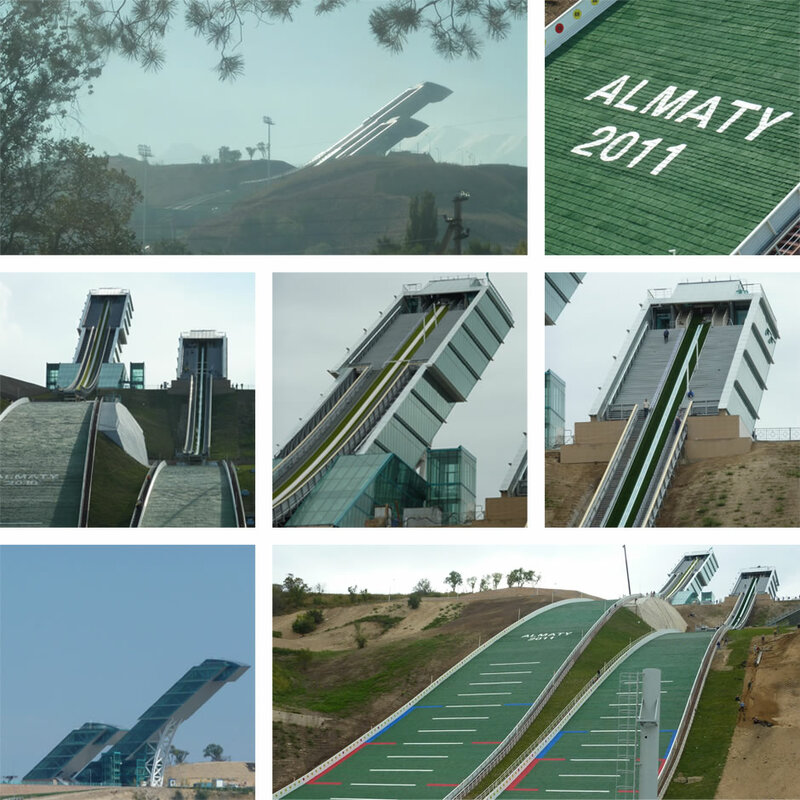 The ski jump complex was built for the 2011 Asian Winter Games at Almaty, Kazakhstan. Planning and construction took two years. 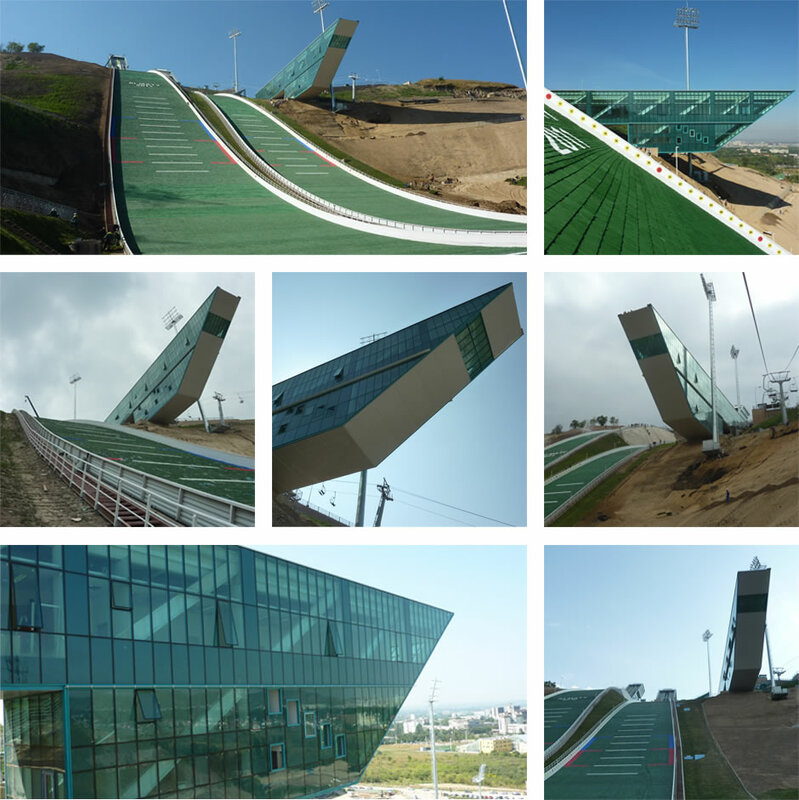 At the end of September 2010, Kazakhstan’s new ski jumping hub was officially opened with a FIS Continental Cup event. The site includes a normal-size hill (HS 106 m, K-point 95 m), a large-size hill (HS 140, K-point 125m), and the judges’ stand used for both ski jumps. 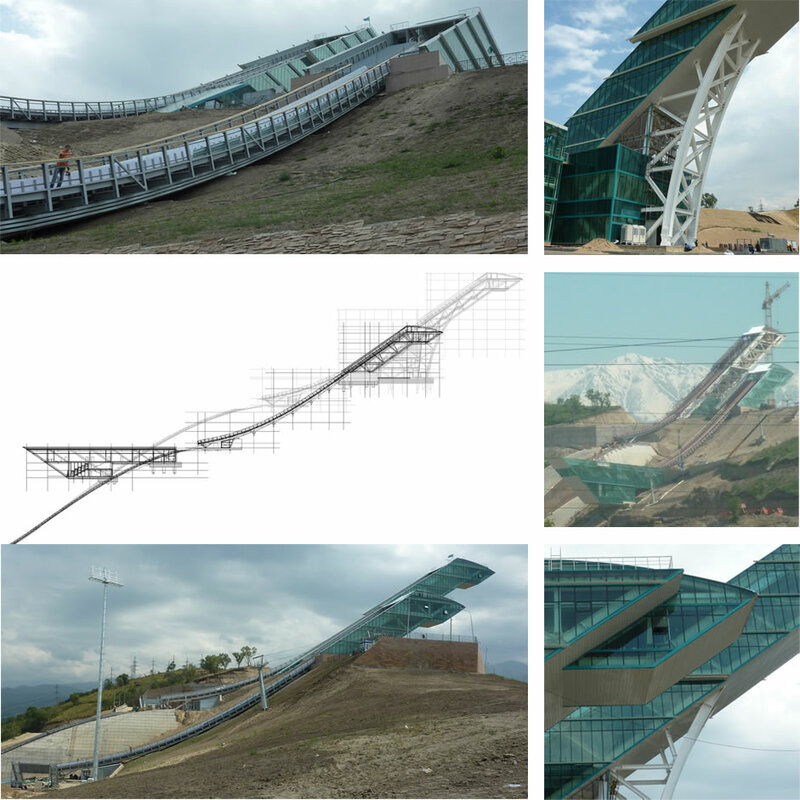 The profiles were calculated and built in compliance with the new 2008 FIS regulations for ski jump construction.Based on its cantilevered in-run towers and the elongated judges’ stand, protruding horizontally from the hill, the site was designed as one large architectural complex of in-run, take-off table, flight and landing area, and the event organizers’ building. 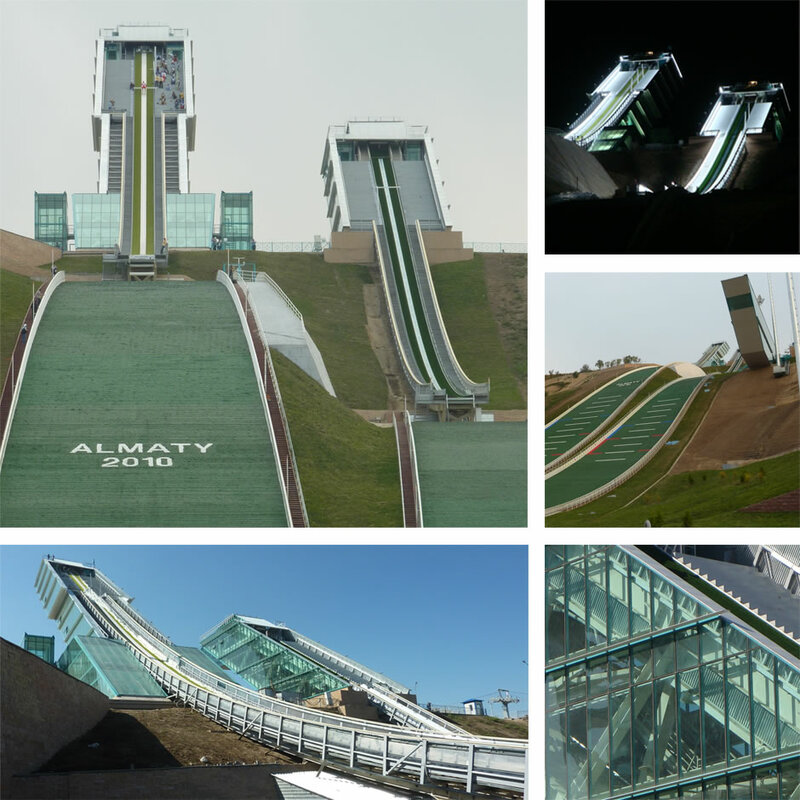 The ski jumps are a prominent architectural emblem of the sport and an eye-catching landmark in the Almaty scenery.